Here are a few of my favorite things from July. 1. Golfing: My dad took me and the boys golfing last week and we had the best time. Charlie would actually hit his ball in the hole, Walker would throw his in, and they both loved riding to each hole in the golf cart. What a fun night! 2. Blogger Events: What a fun month to be a blogger! I co-hosted the quarterly NC Blogger Buzz, participated in a fashion night for Apricot Lane's Grand Opening at Southpoint Mall, and attended Belk's Fall Fashion Preview. 3. Orly Nail Polish: Mirror Mirror. I've been looking for a great grey color, but the only ones I could find were too dark or too sparkly. I'm really liking this color and this brand of nail polish. 4. Our Mother/Son Date: I love this age. Charlie loves life. He thinks everything is really fun and really awesome. So glad we were able to go see a performance together this month. July has been a great month! I hope you had a great one. PS. Make sure you enter to win this incredible giveaway. "Linky Tools subscription expired. List not available. " 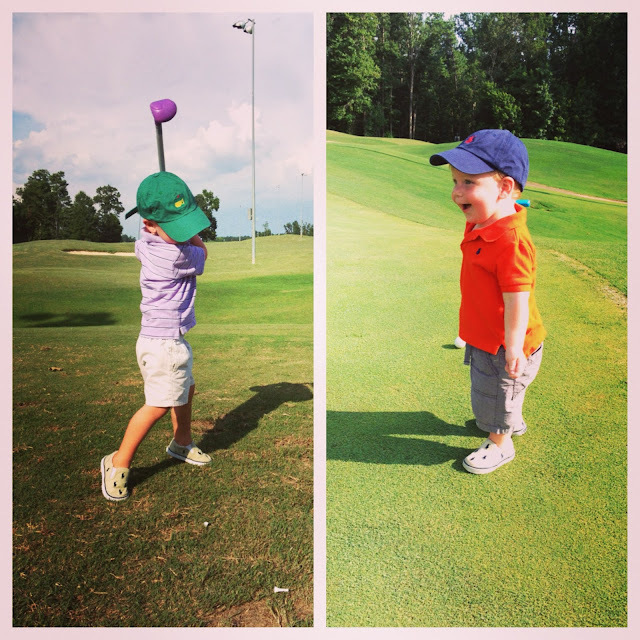 Those boys are the cutest little golfers! I love your cute little golfers :) I will try to stop back later today to see if the link is working to link up my post...I had so many things I was loving in July!! Hope your August is wonderful! Looks like a fantastic month and some super fun events! I am always on the hunt of a good grey polish! I got way too excited when I saw that on your post. okay the boys in their golf gear are just the CUTEST thing ever. I love that polish! I might have to find that!!! love the little golfers! and that gray polish is the perfect color... i may have to look out for it as well- i am kind of starting to crave fall colors! Southpoint Mall!!! That place was my childhood :) And you just gotta love baby golfers... too cute! That's so sweet that your dad took you all golfing. I really like Orly nail polish too. I have an essie color that is similar. Watch out Tiger Woods -- mister Charlie's puttin up some competition! ;) SO stinking cute. Loving that white top in your fashion show night!! 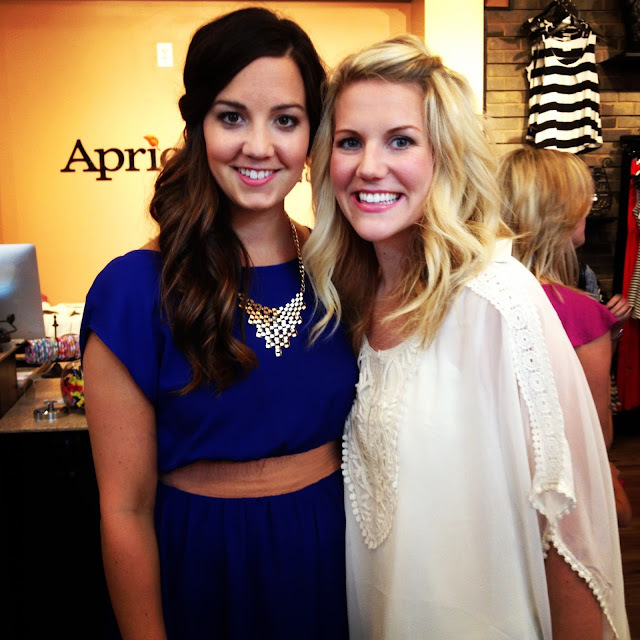 Love the picture of you at Apricot Lane, your look so beautiful! Love your hair and that top is so pretty and feminine! You have got such cute boys! Ashley, you are the most beautiful girl with the most fantastic hair. I know strangers can praise anyone on a blog, but I know your heart is so beautiful so I'm ok saying it. Also I mini-golfed for the first time the other day, I could take up that sport for sure, but only on the mini level. your boys are ADORABLE, and I am so jealous of all your fun blogger events! Looks like a fun month! The golfing pictures are adorable! And how pretty are you in that white dress?? I love the golfing pics. My son likes to 'golf' in the house. Meaning, he uses a spatula and hits the ball around. I'm so excited I got to link up this month - and I'm giving away a set of my favorite things! Mother-son dates... so sweet! And that gray color is great! 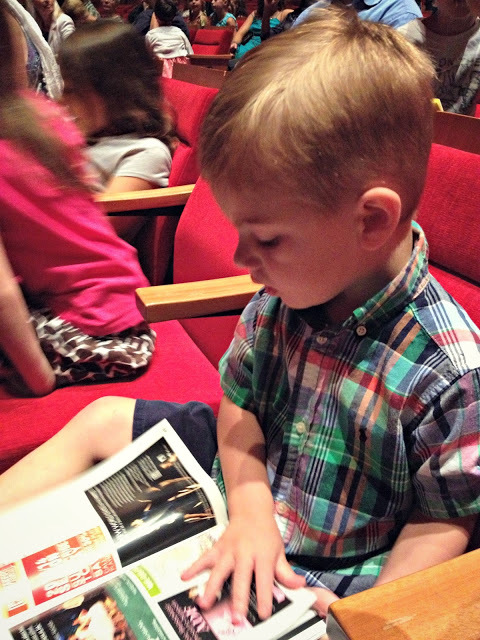 So fun that you went on a date to a show with Charlie. It was a busy/fun month for you as a blogger. My kids love going to the driving range. Haven't taken them golfing for real, only mini and just the driving range. love the golf pics. so cute to see them out there. my little guy loves it too. you look gorgeous in that pic with the white top. 6 ways to take care of "YOU"!